All hail the power of the peanut. 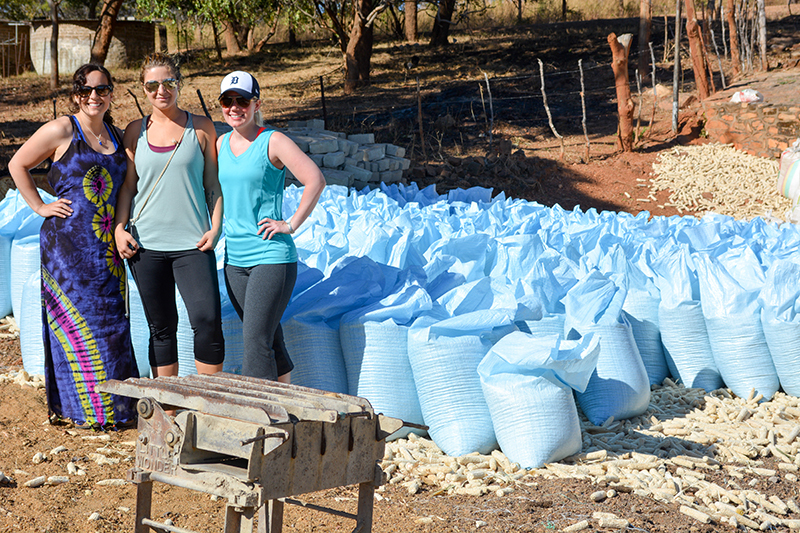 A group of Lambton College students has won a prestigious national award for a stunningly successful outreach program that teaches Zambian farmers how to grow peanuts for a thriving peanut butter business. The college’s Enactus team, which initiated the program in 2012, was named national champions at the 2018 Enactus National Exposition in Toronto May 16. Enactus is a worldwide organization dedicated to a better and more sustainable world through entrepreneurship. Lambton beat out 47 Canadian universities and 20 colleges after being judged by 50 of Canada’s top CEO as having the best project overall. The team will now represent Canada at the Enactus World Cup in California in October. “It’s our Olympics,” said Jon Milos, co-faculty advisor for the college’s Enactus team. Milos spoke to The Journal from Zambia where he and five students are on their 24th trip to rural town of Monze. There, they work with villagers to teach them no-till farming techniques and help them transition from corn to peanut farming and peanut butter manufacturing. With the students’ assistance, peanut sales have increased from $300 per hectare to more than $6,000 per hectare. 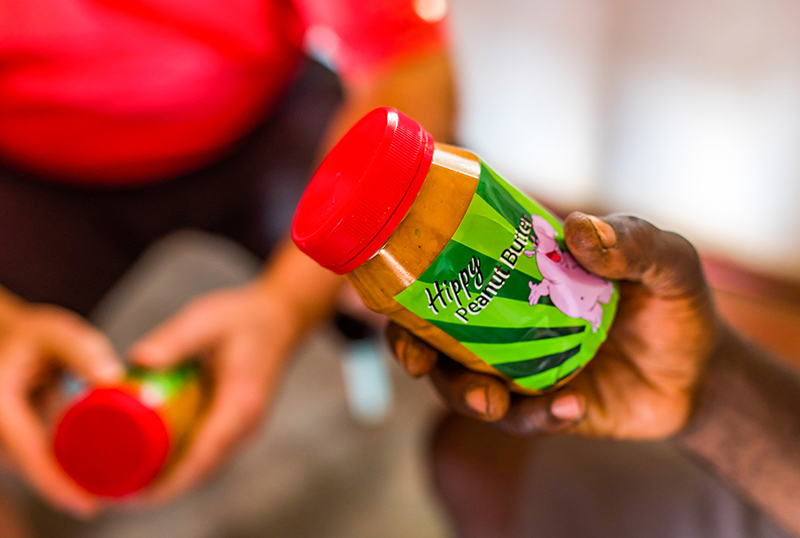 The Hippy Peanut Butter factory established in 2017 is now receiving orders of 2,000 jars a week from a major African grocery chain. “And our students have trained 312 trainers in Monze, who each trained 100 farmers in the no-till technique,” said Milos. This week, he and the students are working with Zambia’s ministry of education to incorporate the no-till technique into elementary and high schools in the southern provinces. “That will mean 58,000 kids will learn about fertilizers, no-till, and how to do yield estimates. It means generational poverty will end,” said Milos. The college’s entrepreneurial team has trained thousands of local farmers and helped launch 20 new businesses over the past year. When Lambton College began the Zambian Enactus project, the farmers lived largely without electricity or running water. “They have no computers so they don’t know about any modern farming techniques,” Milos said. Six years later, 1,500 farmers have been trained directly and, in turn, they have trained another 28,500 farmers, creating a profit of over $34.7 million. When farmers earn more than enough to feed their families, they send their children to school. “That’s happening,” said Milos. “Farmers are earning three to five times their (traditional) income because of increased yields. Lambton College’s Enactus team is the first college to represent Canada at the Enactus World Cup. 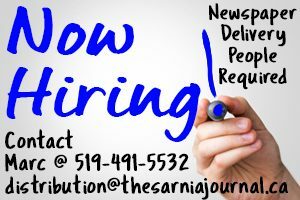 It has eight other programs, such as financial literacy instruction, that operate in Sarnia/Lambton. * No-till trainers assisted 28,500 farmers, creating a profit of more than $34.7 million. Lambton Enactus shipping students pose with bags of product ready for processing in rural Zambia.